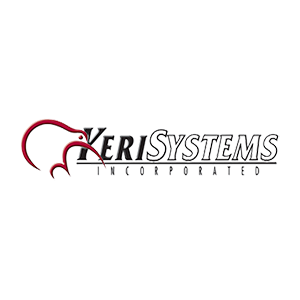 Keri Systems is an access control provider for integrated security systems. They offer a range from simple systems to large scale enterprise deployments. Keri's system is integrated with video, photo badging, biometrics and other features. Using traditional proprietary security networking techniques or TCP/IP networking their products are integrated in your environment. Access Control Software for NXT IP-Based Hardware designed for today’s IT environments Doors.NET is Keri’s flagship product to manage the NXT TCP/IP-based hardware platform. It provides flexibility, ease of use and cost effectiveness. Utilizing true peer to peer Ethernet communications for networking between controllers and software, the system has eliminated the single point of failure prevalent in most other access control systems. A new standard in security, NXT is first of a new generation of equipment to utilize encrypted data from Cards to Readers. Controllers operate virtually autonomously minimizing network traffic and eliminating bandwidth concerns. NXT is one of the most cost effective systems on the market. Tiger Access Control Product Family Keri’s PXL-500 Tiger II Controller is an RS-485 based hardware platform with years of proven reliability that bas built up a loyal customer following. Strong enough to manage a 256-door network, yet tame enough to handle a single door, the PXL-500 continues Keri’s tradition of flexibility and expandability. Its companion SB-593 Satellite Expansion Board simply takes flexibility and expandability one step further.